Columbus, Ga. – March 16, 2017. 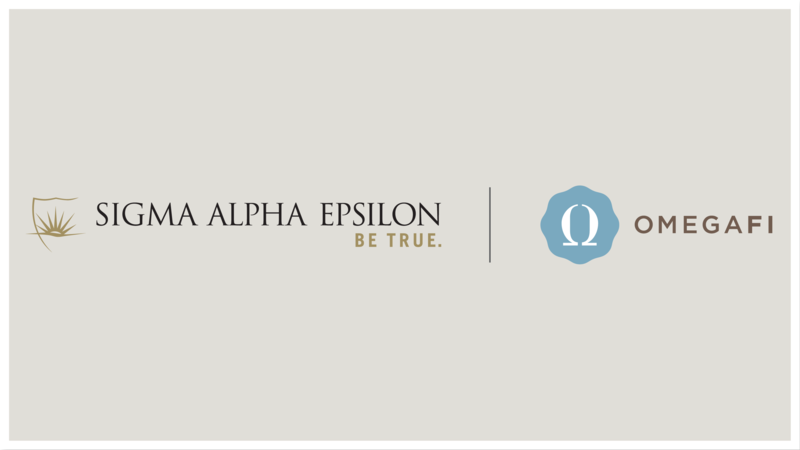 OmegaFi announces a new Vault preferred partnership and Compass client agreement with Sigma Alpha Epsilon Fraternity. Sigma Alpha Epsilon is excited to gain efficiencies with member management, fundraising management and national dues management. In addition, SAE is looking forward to utilizing myOmegaFi, Compass Billing and Bill Pay, and OmegaFi’s high-touch customer service model. With 336,000 initiated members since 1856, SAE will be one of the largest sets of membership data OmegaFi has had the pleasure to work with. Sigma Alpha Epsilon is OmegaFi’s 18th Compass partner, joining, Acacia, Alpha Delta Phi, Alpha Gamma Delta, Alpha Kappa Lambda, Alpha Xi Delta,Chi Phi, Delta Chi, Kappa Alpha Order, Phi Delta Theta, Phi Iota Alpha, Pi Kappa Alpha, Sigma Alpha Mu, Sigma Pi, Sigma Tau Gamma, Theta Chi, Theta Xi and Zeta Beta Tau.